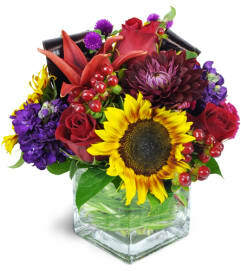 Celebrate the joy and plenty of Thanksgiving with our stunning, Autumn-hued cornucopia of blooms! 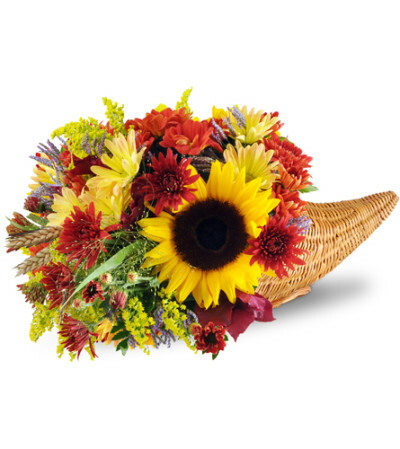 It's a perfect addition to any Thanksgiving gathering, as the centerpiece for your plentiful table, or as a gift for your host! 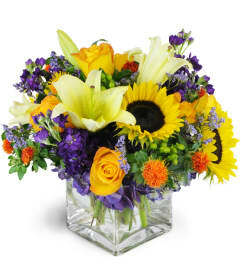 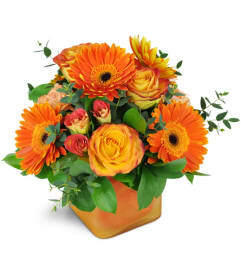 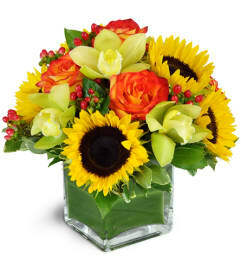 Sunflowers, daisies, mums, and more, all in warm seasonal hues, are arranged in a wicker cornucopia horn basket.